"We reported that coffee is associated with a reduction in mortality. That was also based on a very large population of over 400,000 people. It was pretty strong and convincing. And in that particular study, we had the opportunity of looking at different types of coffee — decaf, obviously, but also instant coffee and regular coffee. We found pretty much the same patterns of reduction in mortality. " 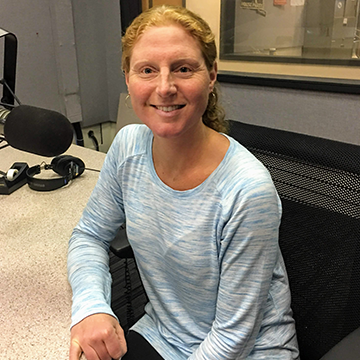 More than a 10 years ago, when Marilyn Cornelis, PhD, was a graduate student, she began investigating CYP1A2, a gene known to have a key role in caffeine metabolism. Since then she has published a variety of research on caffeine and coffee. One early paper published in JAMA showed an association between coffee intake and increased risk of myocardial infarction for carriers of a variant of the gene that results in slow caffeine metabolism. Marilyn Cornelis: "The ability to metabolize caffeine can vary between almost six and 20 hours between individuals. We know that there are a number of factors beyond genetics that change our ability to metabolize caffeine. One key risk factor from multiple genes, multiple outcomes, is smoking. We know smoking induces or increases the activity of CYP1A2, the key gene involved in caffeine metabolism. It actually induces that gene and increases the activity. So smokers actually metabolize caffeine very quickly and it has a very potent effect and although you've always correlate smokers with heavy coffee consumption, although there is a behavioral correlation there, there's also a biological connection as well because they metabolize so quickly that in order to maintain that psycho stimulant effect, they need to consume more and it's kind of where the genes come into it. We find that in the genome-wide analysis studies that are done with coffee consumption behavior, we found that people who have these variants related to increased caffeine metabolism, they also consume more coffee." One of her more recent studies, published in JAMA Internal Medicine, shows that drinking coffee is associated with a lower risk of death. This includes heavy coffee consumption, across various coffee types and among people with genetic differences that affect caffeine metabolism. Marilyn Cornelis: "That was also based on a very large population of over 400,000 people. It was pretty strong and convincing. And in that particular study, we had the opportunity of looking at different types of coffee — decaf, obviously, but also instant coffee and regular coffee. We found pretty much the same patterns of reduction in mortality." A new area of study Cornelis is investigating is the coffee/cannabis connection. She was the lead author of a study that discovered coffee changed many more metabolites in the blood than previously known, including the metabolism of steroids and the neurotransmitters typically linked to cannabis. The neurotransmitters related to the endocannabinoid system — the same ones affected by cannabis — decreased after drinking four to eight cups of coffee in a day. That’s the opposite of what occurs after someone uses cannabis. Another surprising study, led by Cornelis and the QIMR Berghofer Medical Research Institute in Australia, found that people with a higher sensitivity to bitter caffeine taste drank more coffee. While her work is helping to expand knowledge of health outcomes related to drinking coffee, Cornelis says there is much more to be done. Marilyn Cornelis, PhD, has nothing to disclose.